Welcome to Ontario, the land of a thousand lakes. From the fertile farmland in the south, to the rocky, mineral-rich Canadian Shield, to the grassy lowlands of the north, Ontario is rich in forests, wetlands, lakes and streams. As the province with the most culturally diverse population in Canada, our landscape is as extraordinary as its residents. But one thing is clear, young or old, urban or rural, Ontarians are inspired by our diverse landscape, beautiful waters and abundance of wildlife. Ontario’s wetlands are valuable natural resources. Our work is conserving these amazing places so ducks, fish and people can use them for generations. Forty per cent of Canada’s population lives in Ontario. Cities are growing. Industry is advancing. Agriculture is expanding. It’s a heavy load for the environment to carry. Pollution, climate change and competing land uses are affecting our forests, wetlands, lakes and streams. Wetlands are a natural solution. All across the province, new homes and businesses are being built to serve a growing population. Farming in southern Ontario has become more intensified to serve this growing population, competing for land with urban expansion, energy projects and infrastructure needs. Where does nature fit in? The need for wetland conservation that supports a healthy and prosperous Ontario has never been greater. The intensity and duration of rainfall events is increasing in magnitude across Ontario and our current infrastructure can’t keep up. While solutions are costly, we know that working with nature is one of the simplest and most cost-effective things we can do. Conserving Ontario’s wetlands is crucial to maintaining healthy ecosystems and resilient communities. Despite the myriad of policies in place to protect them, we know that we’re still losing wetlands in Ontario. The current patchwork of policies, regulations and programs are not sufficient to stop the loss of wetlands, nor will they support a net gain. 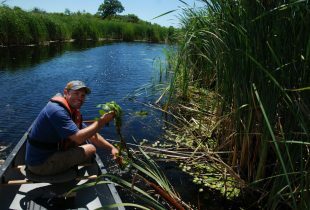 Invasive species are a very real threat to Ontario’s waters, wetlands and woodlands. From Asian carp, to phragmites, to European water chestnut, these invaders are harmful to our ecosystems, economy and the health of our communities. Often extremely difficult, if not impossible, to remove once established, invasive species are best prevented from spreading or introduction in the first place. Ducks Unlimited Canada has been delivering its habitat conservation program across Ontario since 1974. Since that time, we have completed more than 3,800 habitat project segments across the province, and conserved almost one million acres of wetlands to date. We have more than 20,000 passionate supporters and over 1,000 dedicated volunteers committed to the cause. We know what needs to be done and our time-tested formula is simple, but effective. Conserve at-risk wetlands, restore those that have been drained and damaged and manage the habitat projects under our care. But Ontario needs stronger, better coordinated wetland policies in place. 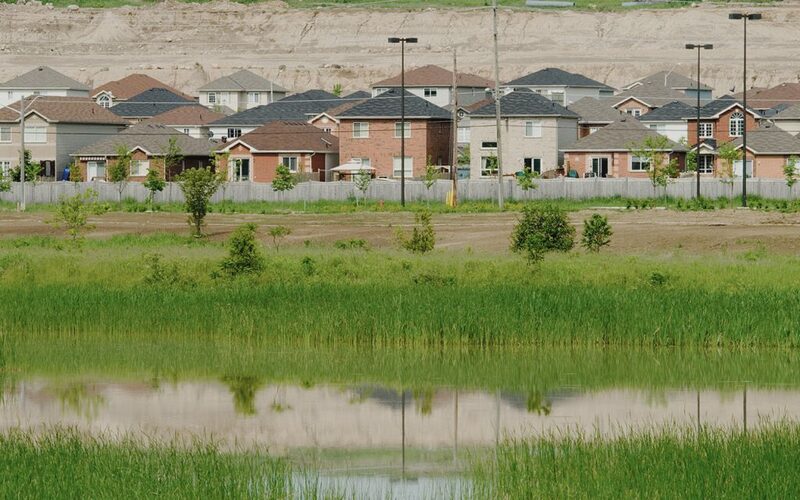 Some regions of southern Ontario have lost more than 90 per cent of wetlands. Without natural cover, wildlife can’t survive. The land can’t endure extreme weather events and flooding occurs. We have 885 wetland projects in the southern portion of the province that must continue to be maintained and repaired to ensure the remaining habitat stays healthy. DUC has a strong history here. Over the last 30 years, 40 wetland restoration projects with water control structures have been built, with 50 more that provide enhanced habitat through nest boxes, wild rice planting and beaver pond management. Today’s challenge is maintaining them for the future. We know that despite the myriad of policies and programs in place to protect them, we are still losing wetlands. 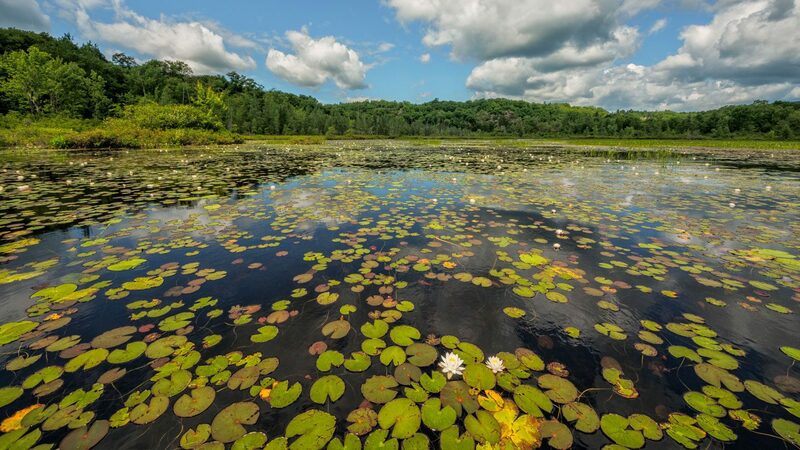 The Ministry of Natural Resources and Forestry has made a commitment in the Ontario Wetland Conservation Strategy to stop the loss of wetlands by 2025, where wetland loss has been greatest. It’s an ambitious commitment, one that DUC is motivated and dedicated to help achieve. DUC has long advocated for stronger wetland policy in Ontario to provide greater protection and to require that unavoidable wetland losses be offset. We’re committed to collaboration and finding practical solutions for these complex environmental issues. Recognizing the ability to accomplish more together than alone, DUC is working with all levels of government, industry, other not-profit organizations and landowners to help achieve our wetland conservation mission via stronger public policy. While solutions can be costly, we know that working with nature is one of the simplest and most cost-effective actions we can take. 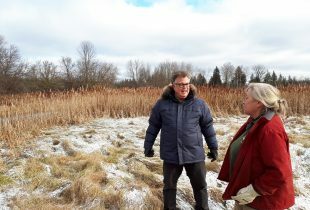 We’re leading new research to investigate the value of wetlands to control flooding and ultimately, gain a better understanding of how combining natural infrastructure, like wetlands, with traditional grey infrastructure is part of the solution to climate resilience in our province. We’re bringing the wonder of wetlands into the lives of young Ontarians and empowering them to become involved in action-oriented wetland conservation projects in their own communities. By connecting students with nature, through safe, interactive and inspiring education content, we’re helping to develop the understanding, enthusiasm, passion and respect for the environment that will drive the future conservation efforts in our natural areas.